That, of course, is extraordinary Nick! I thought at first I was reading an encomium to Nature, but then a gothic tale, and finally a satire on modern life with its money-lenders, journalists and scientists! It was all three I suppose. A departure for you in style too, though not I think in themes and concerns. Thanks you as always, John. I first wrote this over 20 years ago as a prose piece, but it suddenly occurred to me it might work better in blank verse. I’ll leave others to decide if it has! I was worried it might too long, too fanciful, or both, so I’m delighted that you stuck with it all the way to the end – and read it closely enough to pick up a typo, for which I am even further in your debt! N.
What magic, Nick. I am absolutely enchanted. I felt the storm, and then came the lightning and the tree coming to life and awareness as the old Celtic stories, and Birnamwood from Shakespeare, lit alive an universe long gone. But then! The modern world intrudes in its curious, scientific, money-grubbing way. The miracle of a sentient tree and the poetry it is and seeks falls on ears that investigate endlessly, and then find a way to profit, but cannot hear. The Celtic world of sentience within trees and rocks is undiscovered while trying to communicate itself. Finally, in the way of all great tragedies, its poetry unheard, the tree dies in a stadium where it is admired mindlessly by millions–and then is forgotten as the world hurtles into its endless concerns that do not touch the soul of miracles and what truly is. This is neither too long or too fanciful, but filled with symbolism that sings of another way of comprehending the universe, putting poetry rather than investigation at the core of the miracles that we do not fathom in the depths of our knowledge. This is a work of significance and, I suspect, has a hint of the Yggdrasil and Odin about it. The Tree of Life is an excellent title, and the poem stands as a powerful message to us all. As so often, you reassure me with your wise and generous words, Tom. Thank you. I was very nervous about attempting this, never mind putting it in the public domain. I still worry that my work is too naive, and reveals both my questionable ability to cope with the modern world, and my somewhat tenuous grip on reality! I’ve always seen it as my mission as a writer (at least in part) to give a voice to the wordless things of Nature; perhaps because I feel more at home among them than my own kind sometimes. As I mentioned in my reply to John’s comment, this started out as a short story when I was in my early 20s: in fact, it just missed the shortlist for a national prize. In their feedback, the judges suggested it might contain a poem that was trying to get out: it’s taken me two decades, but they were right! N.
Naïve Nick? I suppose to a certain kind of mind you, and probable me too, are naïve, but what does that really mean? Poetry by its very doing represents a kind of naivety. It uses symbols and metaphors to look into a world that is more about change than being, and in doing so its searches for meaning that does not deny science and technology exactly, but puts those in the stream of what it means to have earth, time, and humanity. David Agnew just moved from his old apartment that had grown a wall of building where there was once sky and a place for birds. I don’t believe he is naïve in doing so. I think he is reaching for a deepness that exist in the contemporary world, but is often denied in favor of profit and the paving over of the human spirit. In your best poetry you explore that human spirit, using tools not often seen in the hands of those considering themselves sophisticated in today’s sense, and that spirit alights knowledge, values, and attributes that are core to who we all are as human beings. I admire that effort and ability. I’ve said it before, Tom: your comments stand as poems in their own right, and that is a truly great gift. 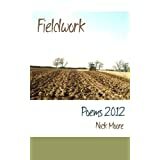 I’m sure some would say we poets are naive in thinking we can create a different (better?) world for ourselves, and somehow bypass the all-powerful profit motive. But at least we try, my friend; at least we try. And in these little acts of rebellion against the ‘real’ world, we remain free men. N.
Absolutely breathtaking. I was spellbound. Thank you, Rachel; that’s great to hear. Writing and posting this piece was something of a leap of faith (or do I mean ‘in the dark’?) so I’m glad you liked it. N.